DESIGNED by one of Australia’s leaders in golf gear, MGI has introduced their new MGI Tri Series range of motorised buggies, the MGI Terrain Tri Brake and MGI Ryder Tri Compact. 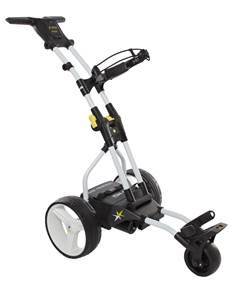 From the Variable Speed Control and colour displays, to the Electronic Park Brake in the Terrain Tri Brake, each buggy has been specifically designed for the needs of individual golfers with a range of new features to make your game more enjoyable. The Tri Series range features a new adjustable and ergonomic T-bar handle that provides added comfort with improved access to the dual operation speed contract. With simplicity and storability in mind, the buggies fold down using a two-step process enabling you to easily stow it away in the boot of your car. For a supreme and smooth operation on the green, the Tri Series buggies are whisper quiet, as they contain a 230w motor, giving you the perfect balance of power when you need it the most but also peace to enjoy your game. Now distances to the green are only a glance away with the conveniently built in GPS holder and compartment. The Tri Series also boasts fitted bases for add-on accessories such as a scorecard holder, drink holder and umbrella holder. They also contain quick release rear wheels, when you are folding the buggy down to put in the boot of a car. 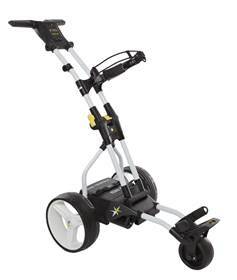 Both models are available in the ever-popular 12v 18Ah Lithium battery, or the 12v 24Ah Lithium battery, and for the more price conscious golfer there are a variety of SLA batteries available. With superb enhancements and the latest technology, the new three-wheeled MGI Ryder Tri Compact has been amplified with modern day comforts at the forefront of its design. It features a dual operation speed control, with smart digital electronics and battery display. The MGI Ryder Tri Compact is the new entry-level three-wheeled buggy in MGI’s new Tri Series range. With simplicity in mind, the MGI Ryder Tri Compact functions using a simple tap-and-go operation for a no fuss approach to your game on the green. Better yet, with its innovative one piece frame, the MGI Ryder Tri Compact is the ideal motorised buggy for travelling with. Simply collapse it with MGI’s two-step folding process and you can stow it away with the rest of your luggage in the boot. 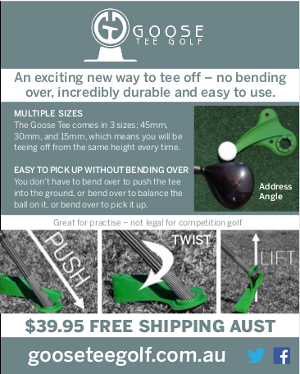 Introducing the flagship of the new MGI Tri Series range, the MGI Terrain Tri Brake boasts the most premium of features for any golfing enthusiast. Powered by a differential gearbox, the three-wheel MGI Terrain Tri Brake will maintain your desired speed downhill for optimum control and ease with its automatic downhill speed control. The Terrain Tri Brake also features Electronic Park Brake, allowing you to activate the brakes on any slope to bring the buggy to a complete stop without it running away. Innovative in design, these new buggies are compact to store, simple to use and so easy to fold, making up for the all-encompassing forces to put the enjoyment back in your game. The new Tri Series buggies are available in matt black and matt white options.